Whether your business is a small to medium for-profit, or a not-for-profit, you need to maximize the value of your financial information while working efficiently to record financial transactions. I’ve worked with many businesses and not for profits over the years on setting-up, customizing, cleaning-up, training, and maintaining their QuickBooks® data files. When we decide to work together we’ll discuss your business set up and exactly what information should be stored in your data file, and equally important, what information you need from your data. 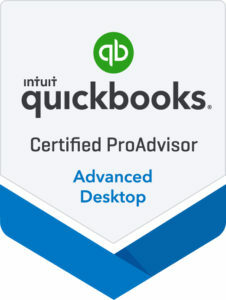 The various QuickBooks® offerings, combined with QuickBooks® compatible add-on programs provide a great deal of flexibility. We’ll work together to create the best solution for your business. Please click here to see information on the QuickBooks® family of financial software.